Moscow had lost its charm. I yearned to try living in a Muslim society. Uzbekistan seemed to be the most developed, cultured of the Soviet 'stans' and a short hop away from Mazari-i-Sharif. My 1980 memories made me decide to take the leap. I looked on the budding internet (still in its infancy 20 years ago) and signed on to a 'friends of Uzbekistan' notice board, where I found a call for English speakers to teach at the new English-language university in Tashkent. Despite protests from my Moscow friends ("You will be mugged or killed by the Muslim insurgents. Russians are all escaping, and you are going there willingly? "), I made the wild leap to Tashkent to teach at the University of World Economy and Diplomacy (UWED), and bought a $15 platzkart [third class] one-way ticket, bracing myself for the long journey in the heat of mid-August to Tashkent. As the train pulled out, as if on cue, a band of robbers climbed through our open window (they were later kicked off trying to rob someone further down the car). I'm not the first western adventurer to find romance in Tashkent. Tashkent has benefited, as do the more attractive colonial possessions, from pampered rakes from the imperial centre. 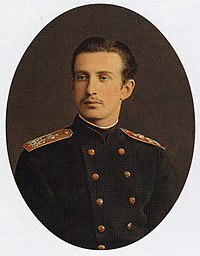 The most famous, or rather infamous, was Grand Duke Nicholas Konstantinovich of Russia (1850–1918), first-born son of Grand Duke Konstantin Nikolayevich of Russia, grandson of Tsar Nicholas I. Born in St Petersburg, he was a gifted military officer and an incorrigible womanizer. His scandalous affair with the American adventuress Fanny Lear had led him into a plot to steel three diamonds from his mother's icon. He was declared insane and banished to the far reaches of the Russian empire in 1874, eventually settling in Tashkent in 1881. Despite his notoriety as a diamond thief, he still had his family fortune, and he used it to built a modest palace in 1890 and sponsor a number of philanthropic and entrepreneurial projects. He was renowned as an engineer and irrigator, constructing two large canals, the (now silted up) Bukhar-aryk and the much more successful Khiva-Aryk, later extended to form the Emperor Nicholas I Canal (atoning for the betrayal of his royal family? ), irrigating 33,000 acres of land in the Hungry Steppe between Djizak and Tashkent. Most of this was then settled with Slavic peasant colonisers. He used his palace to show his large, priceless collection of works of art. The palace became the Lenin Young Pioneers Palace in 1935 and reopened in the 1980s as the State museum of arts of Uzbekistan, since 'independence' closed to the public and used for foreign ministry receptions, a few of which I attended. It is itself a priceless gem, one of Tashkent's few. The rebel gene was passed on to the Grand Duke's youngest granddaughter, Princess Natalia Alexandrovna Romanovskaya-Iskander, born here in the fateful 1917, the last Romanov and the only Russian among the Romanovs to remain in Russia following the Revolution. Her father Alexander died in 1918 and her mother kept the family in Tashkent out of the upheaval of the Civil War. They eventually moved to Moscow under a new name and miraculously survived, despite their Romanov blood and the fact that her uncle Artemi died fighting for the Whites. The princess becoming a professional vertical motorcyclist, an army driver during WWII, and secret agent of Lubyanka. She would visit the Pioneer Palace in Tashkent, fondly remembering that it was their family home. Natalia died in 1999, having witnessed the Revolution from start to finish. One day, I stumbled upon a tiny museum opened in 1981, dedicated to another Russian adventurer, one of modern Russia's great poets, Sergey Esenin (1895–1925), founder of imaginism. It is, appropriately, on Tolstoy Lane on Pushkin St near Puskhin metro station (now Independence St and Salar metro) commemorating his visit to Tashkent in 1921. Esenin had a lifelong fascination with Central Asia; his lyrical poems include a series "Persian Motives". In the now Soviet Tashkent, he met local poets and read his poem "Pugachev" which he'd just finished. Esenin was originally enthusiastic about the revolution but became disillusioned, writing such poems as “'The Stern October Has Deceived Me”. When I arrived by train from Moscow in the summer of 1994, following the same journey of the more illustrious Esenin and Grand Duke, life was peaceful, but Uzbeks were looking on with unease at the anti-communist whirlwind a mere 300 miles to the south. Afghan President Najibullah was still alive though without a government, living in the UN offices in Kabul. The Taliban only got to Kabul in 1996, when they seize and castrated him before hanging him from a lamp post. The plan of Reagan was for the mujahideen to merely drive the Soviets out as a stepping stone in the US plan to undermine the Soviet Union. US strategists just assumed they could 'divide and conquer' the tribal Afghans, and bribe the resultant mess into the latest client state in their New World Order. The mujahideen, fresh in their victories, were having none of this. Liberate Afghanistan from the Russians and hand it over to the equality evil Americans? Fat chance! Au contraire, they were eager to keep going and 'liberate' Soviet Central Asia. 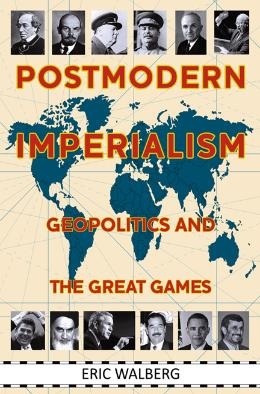 The Soviets were threatening Pakistan from Afghanistan in the 1980s, so the story goes, and Pakistan dictator, President Zia, was using the massive supplies of US firepower at the time to contemplate not only conquering Kashmir, but Soviet Central Asia, using the insurgency in Afghanistan as a stepping stone. This far-fetched plan was approved by the CIA first in 1952 and then dusted off in 1984. Things were going swimmingly until all this caught up with Zia and he died mysteriously in a plane crash (along with the US ambassador) in 1988. My naive hope was that I could make my journalistic career in this hot spot. As it turned out, I did this, but not in the way I expected, nor was that the only transformation I experienced. The four-day trip across steppe and desert in an open sleeping car of 80 people is a blurry but pleasant memory now. The Soviet tradition of camaraderie on crowded, spartan trains was still alive, this time surrounded by genial Asian faces, all of whom spoke Russian, encouraging me with stories of life in Uzbekistan. I was covered in soot upon arrival in Tashkent, but was relieved to find a dapper Alisher from UWED on the platform. We took a 'taxi' (most taxis are just private cars which you hail on the street) to the elegant university, formerly the Communist Party school, renamed in 1992. I joined the staff along with a British Council language teacher Martin, a tall, gangly fellow from Leeds, who was a like-minded adventurer. He became a good friend, and a passport into the diplomatic world of expat parties, a lifeline to the distant West. Public life in Tashkent unavoidably centres on Amir Timur (1337-1405), the legendary Turko-Mongol conqueror and the founder of the Timurid Empire in Persia and Central Asia. Timur is considered the last of the great nomadic conquerors of the Eurasian Steppe, and his empire set the stage for the rise of the more durable "Gunpowder Empires" in the 1500s and 1600s, which once blazed and now limp along, their baneful effects enduring. Timur paid no attention to Tashkent, making his capital Samarkand in 1370, where he brought the world's best artisans and had constructed fabulous Islamic mosques and madrassahs. He was the grandfather of the renowned Timurid sultan, astronomer and mathematician Ulugbek, who ruled Central Asia from 1411 to 1449, and great-great-great-grandfather of Babur, founder of the Mughal Empire, which ruled parts of South Asia for over three centuries, from 1526 until 1857. 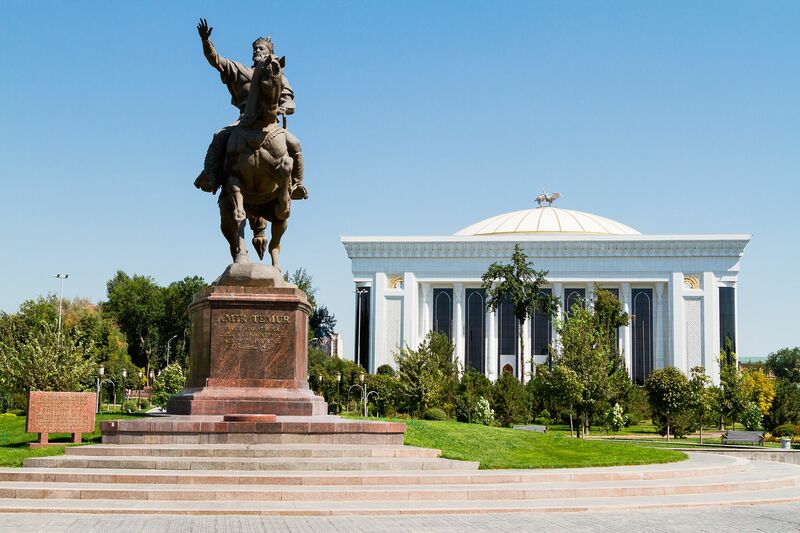 Just as Mongolia fetes Genghis Khan as their patron saint, Timur is now officially recognized as Uzbekistan's national hero, his museum in Tashkent occupying the place where Karl Marx's statue once stood. Appropriately, it abutts Amir Timur Square, where the world's largest statue of Lenin formerly stood, replaced by a globe featuring a geographic map of Uzbekistan at its centre. And in the Karimov traditon, it replaced a quiet tree-lined park which was a beloved meeting place for ordinary Tashkenters. 1996 was declared to be the “Year of Amir Timur”, and the 660th anniversary was widely celebrated, reaching a peak with the inauguration of the museum by President, who said, “Every man visiting this museum can make sure to my words, that this museum is like a great mirror, reflecting both our past and present and our great future”. There is no question that Timur was a genius, if a cruel one. 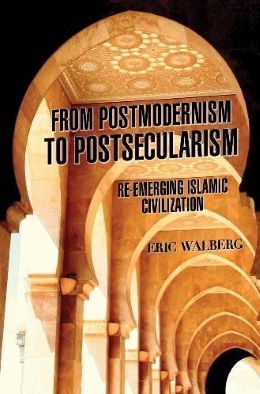 He took counsel with Muslim intellectuals such as Ibn Khaldun and Hafiz-i Abru. But whitewashing his genocidal acts and seeing him as the inspiration of "our great future" raised eyebrows at the time. It is no coincidence that Karimov is also a Samarkander, and as Karimov spoke of “our future”, he was no doubt using the royal "our", having turned Tashkent into his personal fiefdom. Tashkent, literally "Stone City", is the capital and largest city in the 'stans', with a population of two and a half million―big but not too big. Due to its position in Central Asia, Tashkent came under Sogdian and Turkic influence early in its history, before Islam in the 8th century AD. After its destruction by Genghis Khan in 1219, the city was rebuilt and became an important way station on the Silk Road. In 1865 it was conquered by the Russian Empire. With the collapse of the Russian monarchy, changes in Tashkent mirrored those elsewhere in the former empire. In March 1917, Tashkent celebrated the first revolution in Petrograd with a parade with Russian workers marching with red flags, Russian soldiers singing La Marseillaise, and thousands of curious onlookers. Governor General Aleksey Kuropatkin closed the events with words, "Long Live a great free Russia". The First Turkestan Muslim Conference was held in Tashkent in April 1917, dominated by the Jadid, Muslim reformers (think: Young Turks). A more conservative faction emerged in Tashkent centered around the Ulema. This faction proved more successful during the local elections of July 1917, forming an alliance with Russian conservatives, while the Soviet became more radical. The Soviet attempt to seize power in September 1917 proved unsuccessful, as it was mostly Russian-based, Russians being 20% of the population, but soon prevailed, bringing in Jadid types. The historic Congress of the Peoples of the East was a multinational conference held by the Communist International in Baku, Azerbaijan (then part of Soviet Russia) in September 1920, attended by nearly 1900 delegates from across Asia and Europe and marking a commitment by the Comintern to support revolutionary nationalist movements in the colonial East. The gathering adopted a formal "Manifesto of the Peoples of the East" as well as an "Appeal to the Workers of Europe, America, and Japan". 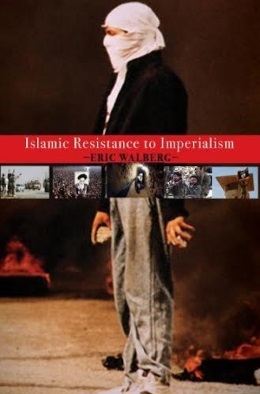 Muslim religious leaders attended, but the congress was solidly secular and anti-imperialist. In April 1918, Tashkent became the capital of the Turkestan Autonomous Soviet Socialist Republic (Turkestan ASSR). The new regime was threatened by White forces and basmachi (read: mujahideen), revolts from within, and purges ordered from Moscow. The anti-religious campaign of the time was not as severe here as in Russia, but signs of independent movements were repressed. My friend Mubin's grandfather disappeared in 1934 and his mother only found out that he was executed in Moscow when the KGB archives were made public in the 1990s. In 1930 Tashkent fell within the borders of the Uzbek SSR, and became the capital, displacing Samarkand. When Nazi Germany invaded the Soviet Union in June 1941, whole factories were dismantled and 'shipped' to Tashkent. This led to a great increase in industry, and the Russian population increased dramatically; evacuees from the war zones increased the total population of Tashkent to well over a million. In addition to groups forcibly deported (mostly Koreans in 1938 and Crimean Tatars in 1944), Russians and Ukrainians eventually comprised more than half of the total residents of Tashkent. 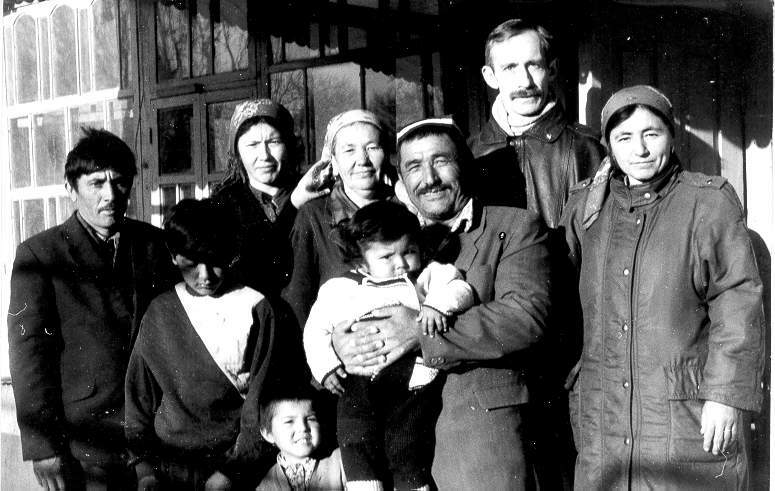 Many of the former refugees stayed in Tashkent to live after the war, rather than return to former homes, but many left after 1991, and Russians comprise less than 10% of the population today. During the postwar period, the Soviet Union established numerous scientific and engineering facilities in Tashkent. After the war, Japanese prisoners of war built the stunning opera house. Soviet archeologists did important work documenting the past. Being sent to Tashkent was deemed a plum location for winter-plagued Russians. In 1966, much of the old city was destroyed by a huge earthquake (7.5 on the Richter scale), leaving 300,000 residents homeless. In a spirit of socialist comradery, the Soviet republics, and some other countries such as Finland, sent "battalions of fraternal peoples" and urban planners to help rebuild devastated Tashkent. They created a model Soviet city of wide streets with parks, immense plazas for parades, fountains, monuments, and acres of apartment blocks. A beautiful metro was built, with fine mosaics of Uzbek poets (Alisher Navoi) and scientists (Ulugbek). It was noted for its tree-lined streets, numerous fountains, and pleasant parks, at least until the tree-cutting campaigns initiated in 2009 by President Karimov. He mortified Tashkenters by cutting down the towering century-old chinars (plantanes), planting lovingly by the Russians at the turn of the last century in the central square, renamed Amir Timur. * Probably they were seen to overshadow the sparkling new Amir Timur Museum. The park is lovingly called Broadway by locals (too lovingly for Karimov), a lively meeting spot where people could get relief from the summer sun under the legendary chinars. contact the author walberg2002@yahoo.com for part two of the article.